Avaza offers advanced two way sync with QuickBooks Online. You can sync Avaza customers, Invoices and Payments with QuickBooks automatically. This integration can be accessed from Settings > Advanced Integrations page however you need to purchase Advanced Integration addon from the subscription page before you can configure the integration. Alternatively for simpler one way integration workflow you can use our Zapier integration to send Avaza invoices to QuickBooks Online. In order to integrate with QuickBooks Online via Zapier you need to be on a paid version of Zapier. Below are some of the integration workflows you can configure with Zapier. 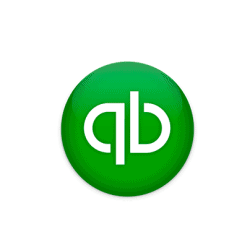 Automatically create a new customer in QuickBooks each time a new company is created in Avaza. Automatically create a new invoice in QuickBooks each time an invoice is sent or marked as sent in Avaza. We have put together a blog post with step by step instructions on how to configure QuickBooks + Avaza integration. Click here for details. Follow this link to connect QuickBooks with Avaza via Zapier. QuickBooks Online is a web-based popular accounting software.